After a long, hot summer, Autumn in New England is in full force and that means Wicked beautiful foliage and Wicked spo0o0oky haunted attractions. Between apple picking, pumpkin carving, corn mazes, costume shopping and beyond, October is by far our favorite month of the year. Tis the Wicked season after all and we do love a good scare. Looking to get spooked before Halloween? Check out our top 10 haunted attractions throughout New England below.. Haunted Acres in Candia, New Hampshire which is known to be one of the most terrifyingly fun places to visit for Halloween in New England. They offer 5 of the creepiest attractions: Quarter Mile Nightmare Walk, Graveyard of the Damned, Maze from Hell, 3-D Nuclear Accident House, and Area 52. Quarter Mile Nightmare Walk is exactly what it sounds like, venture into the woods where you’ll come across the scariest deranged residents of Area 52 that were able to escape. Graveyard of the Damned is where all the victims of failed experiments from Area 52 are buried, ready to take revenge on anyone that dares to enter. The Maze from Hell is 2500 square feet of complete darkness where the souls of psychopaths haunt you while trying to find your way out. 3-D Nuclear Accident house is where you’ll have to run from mutants made by a radiation leak, while struggling to see through the clouds of radioactive steam. Last is Area 52, a secret government facility gone extremely wrong and the root of all the monstrosity lurking at Haunted Acres. Barrett’s Haunted Mansion in Abington, MA is celebrating its’ 25th season in business. The Compound, which opened in 2013 as “The Cell” is their second attraction and is included in the ticket price. You can experience the evil that has possessed Barrett’s Haunted mansion, and go through The Compound where you’ll have to find your own way out. Sundays and Thursdays in October they are offering Bite and Fright, which includes dinner at Abington Ale House and admission to both attractions for $35 tax and tip included. Other events such as Darkness Unleashed and Lights-On Tour will also be available this year. Barrett’s is one of our favorites this year! Fright Kingdom also located in New Hampshire is New England’s largest indoor attraction. Since everything takes place indoors they are open all season, rain or shine. Here they offer several different attractions with different themes. From Apocalypse Z to Psycho Circus, this haunt is sure to touch on one of your biggest fears. Enter the Bloodmare Manor, home of a disturbingly demented family or wander the dark corridors at the Castle of Corpses. For those who do not dare enter any freaky facility; you can safely enjoy Monster Midway where you will find other forms of entertainment such as games, concession stands, and photo opportunities. Factory of Terror, awarded with New England’s Top Haunted Attraction title, conveniently has 3 different locations. One is in West Warwick, Rhode Island, and the other two are in Worcester and Fall River, Massachusetts. The West Warwick location as well as the Worcester location, both have 5 different attractions each. Fall River has another 3 completely different attractions to enjoy. From Clown College 4D and Psycho Alley, to Bloodworth Dungeon you will experience it all. Especially with the multi location hopper pass, you’ll be able to visit all 3 locations on any 3 nights of your choice. Spookyworld presents Nightmare New England located in Litchfield, New Hampshire. It is the largest haunted destination in the Northeast with over 80 acres of frightening fun. This park has 5 separate attractions including New England’s Newest Haunted Hayride. It also has a ton of other side activities you can do such as zombie paintball, mini-golf, go-karts, carnival rides and a lot more! It is as much fun as it is scary, like Yahoo travel said, it is “the most fearsome place on earth”. As you may already know, the famous amusement park Six Flags offers Fright Fest every year for Halloween. Their New England location in Springfield, Massachusetts is having 16 days of terror offering you their haunted attractions every weekend from September 24th until October 30th. Aside from 5 haunted houses, there will be scare zones along the way which wont allow you to get a break from being scared. All kinds of monsters will most likely be chasing you your entire visit! For the first time, this year Six Flags is offering 8 live performances featuring dancing monsters, ghouls, zombies, and witches. You won’t want to miss any of it this year! Another great theme park to visit for Halloween is Canobie Lake Park during Screeemfest. It is located in Salem, New Hampshire and is open weekends of September 24th through October 30th. Experience 5 terrifying haunted houses such as Carnivus a sinister circus, or Dead Pirates Lair where a band of ruthless privateers have inhabited. For six weekends you get to party at Rocktober Fest and enjoy music in tribute of some of the greatest rock bands. Along with other shows and exciting activities for adults, there will be a petting zoo and pumpkin house just for kids. 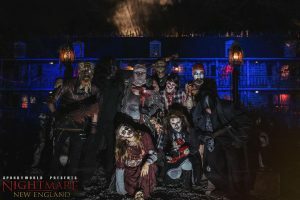 The Haunted Graveyard at Lake Compounce in Bristol Connecticut is another hair-raising New England attraction that is fun for Halloween. As you walk through the cemetery you will come across slaughterhouses, torture chambers, and a hospital full of zombies. You might think you are safer outside but don’t be fooled, the bodies of the dead are waiting with their chainsaws. The only time you might be free of monsters is when you are on one of the thrilling rides. If you’re brave enough, Phobia is New England’s first triple launch rollercoaster you and your friends don’t want to miss! Visit Boston’s only haunted house attraction, Ghost Ship Harbor, and experience something a little different than your average haunt. 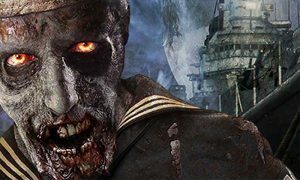 Run as fast as you can to the USS Salem docked in Quincy, MA if you want to have any chance at surviving the virus outbreak. There will be food, drinks, and a gift shop for the survivors. Go through the 3 new attractions Contagion, The Plague, and Ouija and see if you can make it out of there uninfected. If you are looking to find supernatural beings this season, vampires, ghosts, and witches are waiting for you at Witch’s Woods in Westford, MA. Start with the Haunted Hayride and you’ll see everything from werewolves to zombies drawn in by the smell of human flesh. If that doesn’t send you running back home, explore the other 4 haunted chambers and mansions. Walk deep into the woods where vampires are looking for new victims to spread their otherworldly curse. At the end of your visit, you can check out Jack O’ Lantern Jamboree and admire hundreds of professionally carved pumpkins of famous horror movie characters and classic Halloween silhouettes. 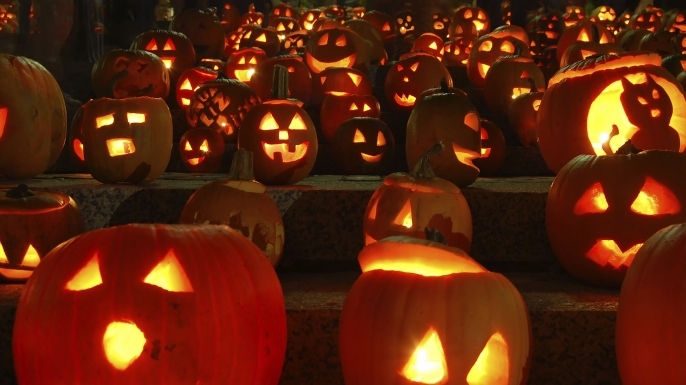 New England has tons of thrilling and spine-chilling places to visit this Halloween season. Whether you’re in New Hampshire, Massachusetts, or Connecticut, there are all kinds of creepy creatures that have waited for you all year long! Tis the Wicked season… Boo! 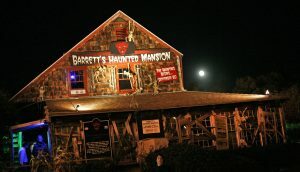 This entry was posted in Events and tagged barrettshauntedmansion, connecticut, frightfest, halloween, hauntedattractions, hauntedhouse, massachusetts, newengland, newhampshire, october, scary, spooky, spookyworld, Wicked. Bookmark the permalink. ← Hey again! It’s me, your wineo in Italy!